Sandy, a very cute scene with the playful cubs, but didn't you actually intend to post this in P&DA? 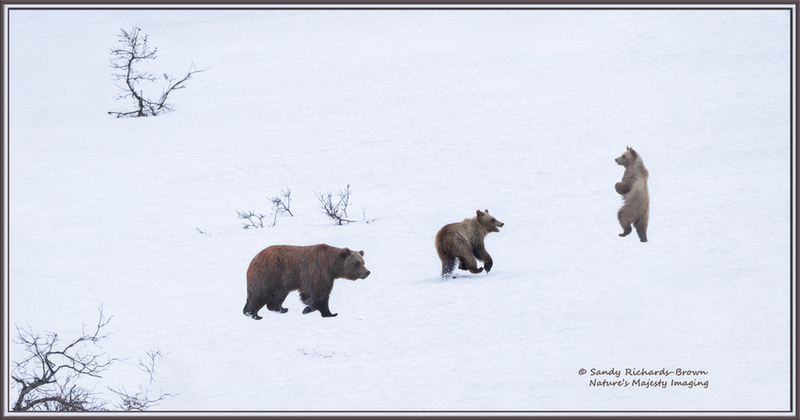 The lack of shadow on the ground from the left bear and right bear, compared to the middle bear and the shrubs would tend to suggest a composite. Well, that makes three of us with the same thoughts on this one, Sandy, so I am moving it to P&DA where I am sure it will be welcome. Nope, sorry, you're all wrong. The mom and the top cub had tiny bits of rocks and bushes I cloned out at the feet where a shadow might have been.